We’re less than two weeks out from the industry’s night of nights – the divine B&T Awards – and today we’re sharing the entries from some of the NSW Agency of the Year finalists. With barely a ticket left (although that depends what you’re bribing us with) and more organising in the B&T office than we’ve seen all year, this showcase shows us just how impressive our award entrants are. Today, we check out what it takes to get to the finals stage in this category, looking at The Monkeys, One Green Bean, and TBWA participants. In 2015 we set ourselves a three year vision : ‘To be the most culturally connected creative company in Australia’. We believe that in the 21st century a brand’s place in culture is its most powerful competitive advantage and source of growth. We have restructured our agency model, our teams and our processes around an operating system called Disruption Live™ which is enabling us to deliver ideas and content at the speed of culture. Disruption Live ™ has been a critical success factor our very strong new business performance over the last 12 months with wins including Virgin Mobile, Foxtel, Foxsports, Bellamy’s Organic across Asia Pacific, Schweppes, Oroton, McDonalds (PR) and Go Daddy. We also renewed long term contracts with David Jones, Apple and Tourism New Zealand. We have grown our revenue base by over 30 per cent in the last 12 months and our profitability has grown 45 per cent. Eleven, our PR division has had an exceptional year doubling in size. We have also had a strong year creatively. At Cannes we won 3 Silver Lions, including a first ever Cannes Lion for David Jones. TBWA Australia continues to lead the agenda for diversity, with leaders like Kimberlee Wells, our CEO in Melbourne, and Nitsa Lotus, our MD in Sydney. We believe in diversity of thinking, so we are proud of our diversity across Men/Women, Old/Young, Gay/Straight, and cultural diversity. We are also proud that diversity is central to many of our best campaigns over the last 12 months including #Equalfuture for ANZ, #itsinyou for David Jones, and #madebymany for Women in Engineering. Our purpose is to make provocative ideas happen. Our ideas live within advertising, entertainment, technology and design. Advertisers have historically spent far too much time and money saying what they want to say, rather than what an audience wants to hear. So for a brand to stand out in today’s competitive market it has to surprise people, engage them and reward them for their time. So we try and surprise the world with provocative ideas. 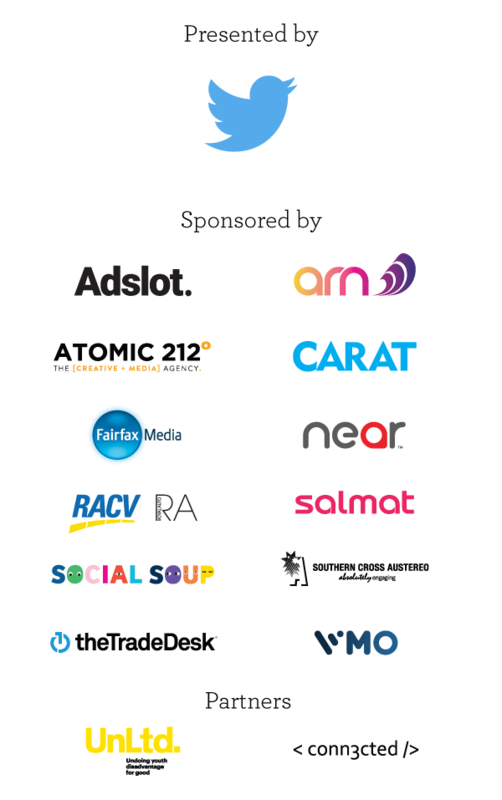 Over the last 12 months we have done this with some of Australia’s finest brands. Repositioning Telstra from a telecommunications company to a technology company with Telstra ‘Thrive On’ was arguably one of the biggest brand launches in 2016. In fact the year saw us become the lead brand agency on both Telstra and Qantas. We created the most talked about and shared campaign of 2016 for Meat & Livestock Australia, Operation Boomerang – a campaign that won the Grand Effie, MLA Client of the Year and The Monkeys Agency of the Year at the Effies. Other campaigns of note included a man riding horses singing Darrly Braithwaites The Horses, for Bingle. We also overhauled the UBank brand with a new identity and brand campaign, revealing a new guiding principle ‘Just The Bank You Need’ which got Australians’ thinking about their needs and wants. Launched a new platform for HCF, Health Comes First, that represents how HCF is founded on the principle of mutuality, and helped HCF stand out from the other big insurers. Also, sustaining the upward trajectory of the IGA brand under the campaign idea ‘It Pays To Shop Independent’, which made Australians’ want to shop locally with comedian Shane Jacobson. We then built on the success of the Blackmores brand with new product launches under the Be A Well Being platform, and continued Sydney University’s ‘Leadership For Good’ campaign, introducing a virtual experience that followed five students throughout a day at university. We created new technology ideas, our own product, and entertainment formats, included a documentary on iconic surfwear brand Mambo which airs on the ABC in November. And to top it off we continued to win agency of the year awards, creative awards and most importantly more Effies than any other agency in Australia. At the same time our business grew revenue by 20 per cent and profits by over 30 per cent. All in all our best year ever. “For me, this is one year in, in the hot seat. What a year it’s been. Grasping the speed at which we work. The pace at which we think, create and propagate. It’s unlike anything I’ve experienced. 12 months ago it was a step into the unknown, taking the helm of a modern creative agency that excels in unlocking the potential of owned and earned channels. A business that is nine years young – founded by Kat Thomas & Anthony Freedman. Last year we focused on evolution and transition. This year we reflect on the outcomes and achievements of that journey. This was the year we experienced a level of commercial growth that we haven’t experienced for a long time. Winning new clients from Uber to Maurice Blackburn. From Bang & Olufsen to HCF. This was the year we launched new IP in the form of our social influence product, Crowd Atlas, and our trend hunter, Beagle. This was the year we hired more specialists, than ever before. We hired more publicists than ever before too. We launched a new measurement approach and we tackled the shackle of over servicing too. We kept our secret sauce: our creative appetite. And launched new rituals like Curry Club and Sidewalk Cricket. I saw the extraordinary in our collective grit. And fell in love with a team of 70 Beans. Beans who are keen to do good work and to give back. The Sony Foundation provided an outlet for many, who are now actively involved with a local soup kitchen. Cheers to our gorgeous sponsors for helping us make the night happen!